In the world of retail and fashion, there is no such thing as an ‘end point’ for companies. We are all on a never-ending journey of self-improvement in order to provide the best shopping experience. Still, I’m happy to announce that Antavo has passed some very important milestones recently, indicating that our noble quest for improving customer retention practices is indeed progressing well. First and foremost, we’ve launched a renewed product. Our updated SaaS platform now features a tool called Loyalty Automation, which allows our clients’ marketing executives to manage and modify the details of their loyalty campaigns without the help of the IT team. 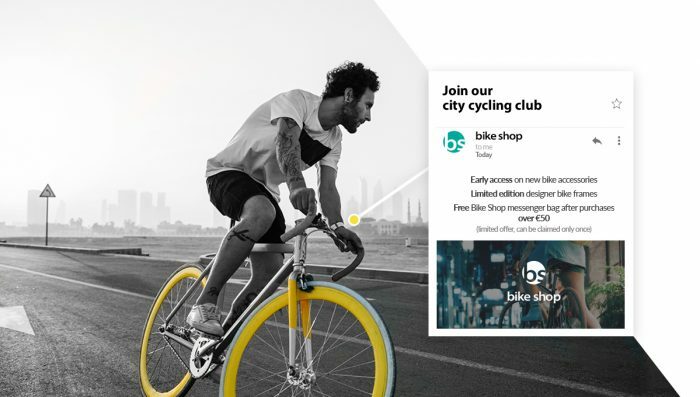 We’ve also expanded what our product is capable of: clients can engage customers not only online, mobile and in-store, but also in daily life, for example when they go for a run or started working out at the gym. Also, as a hallmark of our development, Antavo made the move to another office in order to ensure enough space for our ever-growing team. With a new engine and a fresh coat of paint, Antavo is ready to take the lead in the race! At the beginning of 2017, Antavo had only 14 members, but the number swiftly started growing. Now our company has 40 employees in three offices across Europe. However, our base office quickly became small for our rapidly expanding team. But not anymore! We’ve just moved to a new location that is spacious enough to support our company for years to come. Found in the most prestigious district of the city, our 400 m2 office space was renovated by the owners based on our own plans. Fitted with a lounge, a kitchen and four meeting rooms – something we desperately needed back in the day – Antavo’s new home definitely matches the expectations for a top-of-the-line office. Below is a slideshow from our office opening party to give you a taste of the atmostphere. We decided to properly celebrate our new base of operation by hosting an office opening party. The entire Antavo team gathered from the UK, Italy and Hungary, including board members and investors, and together we raised our glasses to the future of Antavo. Moving to a new space wasn’t the only grand project of 2018. Behind the scenes, our team worked hard to completely reimagine the website, reflecting the improvements in our product with more in-depth content and design. Furthermore, we took our integrations to the next level. To our existing automation and ecommerce partners – including Emarsys, Dotmailer and Magento – we added new partnerships from the fashion-tech ecosystem, including Syte, Fit Analytics, POQ and Awear. 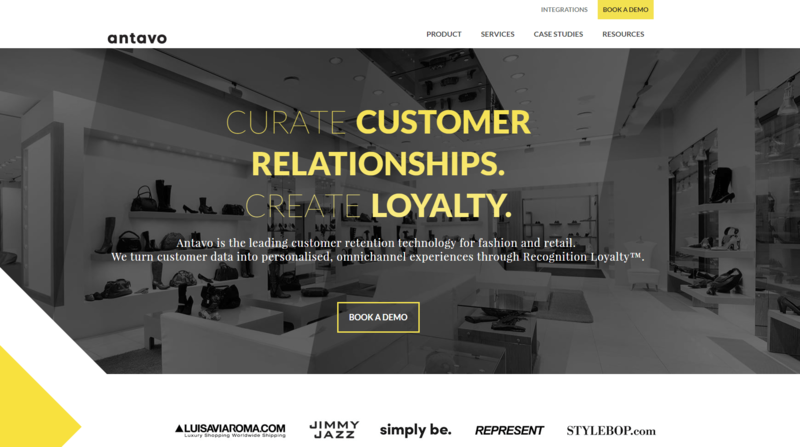 Antavo’s new website features a vast amount of information about customer retention, as well as ebooks, case studies and videos discussing customer engagement. 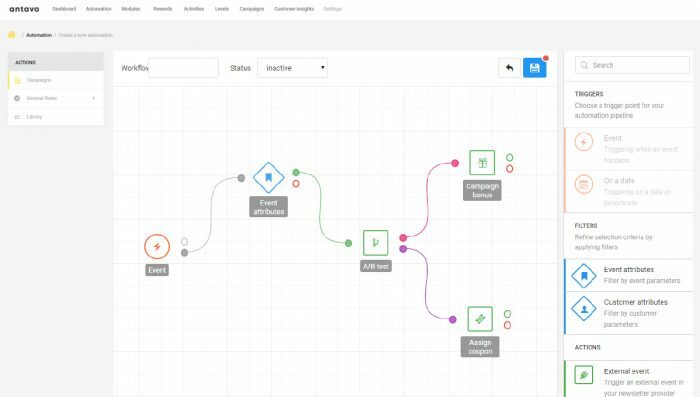 Edit the customer journey: The Workflow Editor is transparent, has a friendly interface and gives the user incredible flexibility. With a few clicks, you can change a campaign’s target audience, put together flows, and assign different types of rewards to multiple actions. From this point, you don’t need to be an expert in programming in order to set up a retention campaign or modify the mechanisms of the loyalty program. 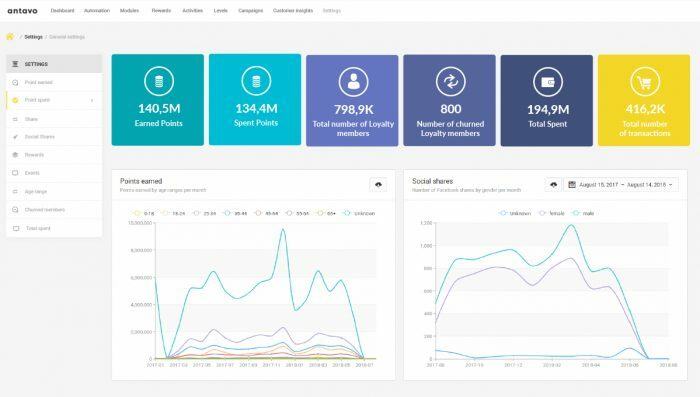 Insights: It only takes a second for the Loyalty Automation tool to show you how the program is performing and why. This information can be used to better understand customer behavior and effectively tap into their psyche. Daily Life: The Omnichannel experience has also been updated, allowing brands and retailers to combine loyalty with lifestyle technology through FitBit integration, visual search and smart tagging. Doing so allows companies to be present in the customer’s everyday life. At Antavo, we are dedicated to better equip companies to run successful loyalty programs. We pride ourselves on our achievements, and share all of our successes with our clients as well. If you are starting your journey towards better customer retention, contact us and let’s start a conversation. Attila is CEO and co-founder of Antavo. He foresees what works and what doesn’t work in businesses. He has rational visions and sometimes irrational enthusiasm. He is a father, a handyman, and an expert in healthy eating and working out.